What would drive a man to venture out alone in the dark reaches of the galaxy? Your typical 1950s serial might have you believe that it is his impeccable sense of adventure, his desire to achieve the impossible. 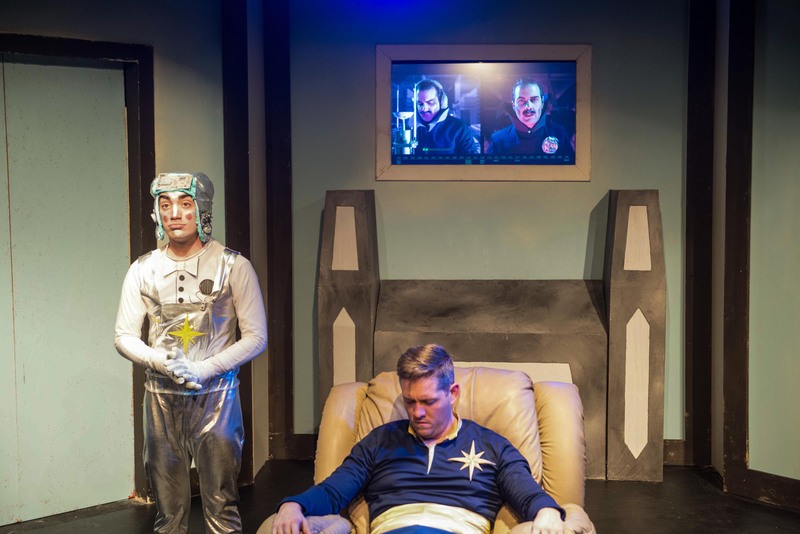 But what Aaron Senser’s new play “The Impossible Adventures of Supernova Jones” posits is probably closer to the truth: it’s because he’s running away from something far darker than the infinite abyss of space. When the story begins (in medias res of course) the titular hero, played by Brendan Mulhern, is well on his way to completing his stated mission—to find the center of the known universe. So when Jones suddenly finds himself in a hospital bed in 1988 being fretted over by doctors and his distraught wife, Evelyn (Jill Mate) he is understandably confused. But what he assumes to be a trick by his enemies is in fact a trick of his own mind. Supernova Jones is nothing but a psychotic fantasy, a mourning man’s futile attempt to outrun his own grief. The play is currently receiving its world premiere from Forget Me Not Theatre Company, and it is promising. But it is also very clumsy. It is less a melding of childish fantasy with adult psychology than it is a kludgy soldering together of the two. Slack pacing and unimaginative staging from director Emelia Zuckerman exacerbate the kludginess. But there are a few bright spots. Mulhern is able to toggle between B movie hero and bereaved everyman and do both men justice, while Evan Henderson brings a fun, slithery charm to Hash, a space-cowboy Lucifer. And the detailed video design by Dan Haberkorn consistently provides the show’s most engaging moments. Forget Me Not Theatre Company at The Den, 1333 North Milwaukee, forgetmenottheatreco.com, $20. Through May 10.